For me this offer can be reached with two stays at Holiday Inn branded hotels. One would have to be a two night weekend stay and the third just a single night at a Holiday Inn. Both stays would have to be booked directly with IHG which is simple and easy! I haven't jumped on the last two IHG promos but am thinking based on what my travel plans maybe for the first four months of 2015 this maybe the time to go after it. What offer did you receive? Feel free to share it with us and our readers by commenting below? 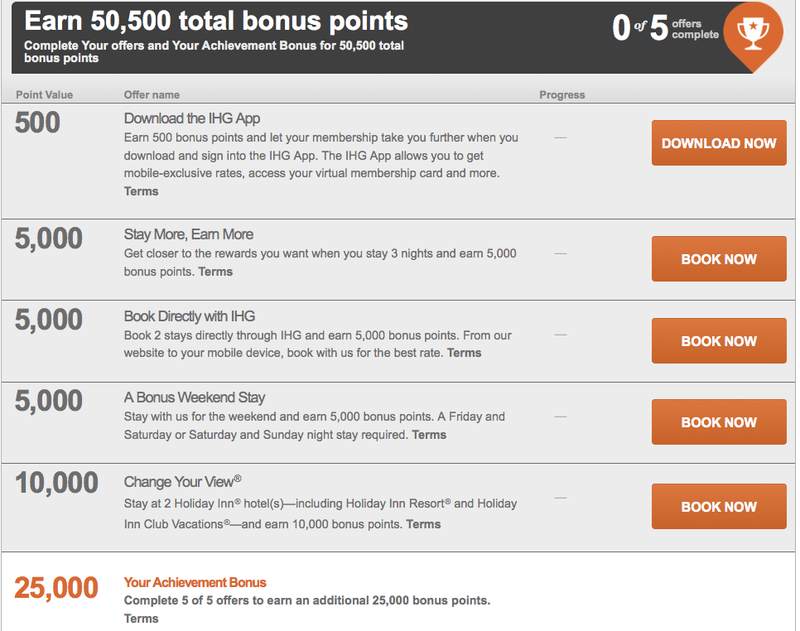 As always be sure to check our IHG Rewards Club Bonus Points page for many more bonuses that can be earned alongside this promotion!